A remarkable ingenuity defines the people of Jura; an ability to reimagine and reinvent that has allowed their Distillery and its working community to thrive. Such vision has been brought to life through their complex single malts. The Isle of Jura 10 year old is a trademark whisky for the modern drinker; smooth smoky sherry sweetness. Crafted in exceptionally tall stills, matured for 10 years in America White Oak ex-bourbon barrels and the fresh sea air with a further enhancement from the finest aged Oloroso Sherry casks from Jerez, Spain. The 12 year old is a modern day classic, reassuringly rich with smoky sherry sweetness. Reshaping metals into beautiful new forms is no easy task. 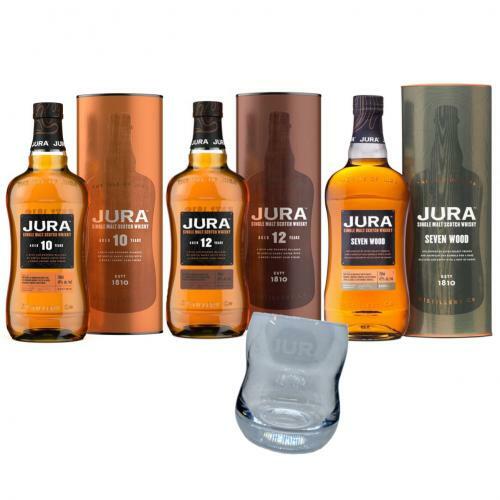 As crafters of subtly smoky, sweet whiskies, Jura understand that hand-making something unforgettable takes time. About 12 years, in their experience. 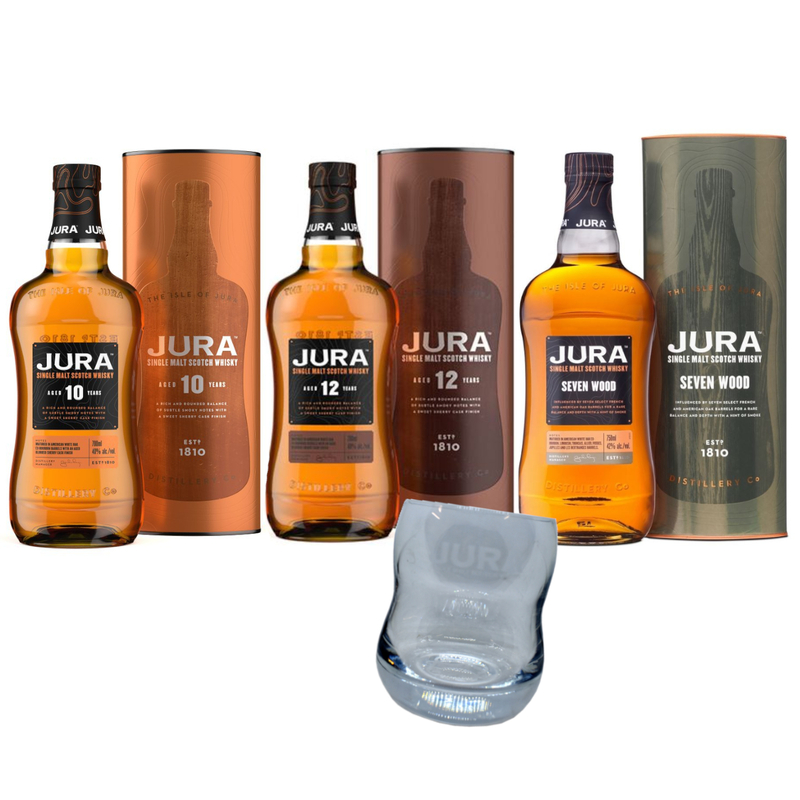 Jura Seven Wood is internationally recognised as a well-rounded and balanced whisky. An aromatic fusion of ginger spice, caramelised peach and a touch of smoke, pour yourself a glass and see what flavours you find. Sit back and relax with these sublime whiskies!